I recently gave a presentation at the Region XIII Library and Literacy Summit in Austin, Texas, about how to help at-risk dyslexic readers by fostering students’ love of story. It’s human nature to avoid doing things that are either difficult or just plain monotonous. This is especially true of children. I had whole lists of things that I didn’t like to do when I was a boy, mostly because they were boring or repetitive. But there were also things I didn’t like to do because they were such a struggle for me—and that included reading and writing. As a child with dyslexia, reading was never enjoyable and writing was even worse, mainly because it took so much effort and nervous energy for me to try to read and write. At times it was devastating. It seemed so pointless to subject myself to that painful effort day after day, when I never seemed to make progress like my fellow students. But what most children don’t generally comprehend (I certainly didn’t) is that we don’t learn to read just for the sake of reading. First we learn to read, and then for the rest of our lives we read to learn. Reading not only opens up our main avenue of learning—it also opens up a world of adventures through stories that teach us about life, help us recognize ourselves and our place in the world, and solidify abstract concepts. 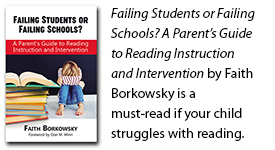 Motivating the miserable dyslexic reader goes beyond just teaching the mechanics of reading. The mechanical act of reading will never be fun or easy for the dyslexic student. Instead, parents and teachers need to foster a love of story in children. Since there is always a mechanical stress to reading, the goal is to separate the love of story from the stress. Picture a locked glass cabinet filled with all of your favorite desserts. If you want those tasty treats badly enough, you’ll work at unlocking the barrier until you reach your goal. You have to see beyond the lock, beyond the struggle, beyond your lack of tools to the end result. This will motivate you to put forth the needed effort. So what are some ways that parents and educators can help foster a love of story? 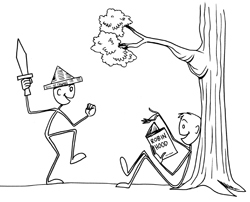 Provide children with materials and prompts to draw illustrations depicting story ideas. Encourage children to make up their own plays and dramas based on beloved characters. Read and/or listen to stories together regularly. Ask the child to describe what they see in pictures in books, and have them guess what will happen next. 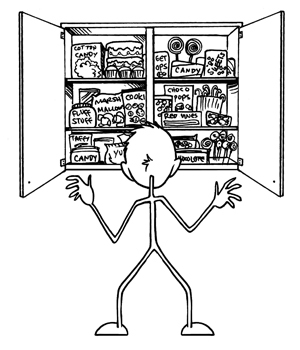 Develop questions around the main characters that the child can fill in from their own imagination: What would this character’s room look like, and why? What would his favorite hobby be? What is he most afraid of? What is he most proud of? Why? Discuss ways the child may be like a character in a beloved book. Do they share feelings or experiences? Is there common ground in talents or gifts? Help the child to see that he or she is part of a much greater world, and that reading about the experiences of others helps us learn about ourselves. Assignments like these help children use their own imaginations to become participants in the story. By helping them to imagine and enjoy the “worlds behind the words,” children can learn to see that the reward of reading is worth the extra work.